Playing better in the big moments and winning a much higher percentage of points behind her second serve, Vandeweghe beat Safarova, 6-4 7-6(2). Lucie had edged the first set, looking untroubled on serve and confident coming forward. However, she missed three break point opportunities in three separate games with some big misses on key returns. The missed opportunities eventually caught up with her as CoCo broke for the first set, 6-4. Lucie’s game unravelled a tad in the second set with some shaky misses – there was one smash up at the net where she just didn’t move her feet at all! As is always the case with Lucie she kept on battling and this time round, twice held her serve to stay in the match to force the tiebreak. However, it wasn’t to be as CoCo rather comfortably came through with a couple of big returns and an ace on match point. It was just one of those days for Lucie where she was unable to capitalise on her opportunities, particularly on return. All the credit to CoCo – she didn’t play her best match, yet was surprisingly solid. There was one petulant moment towards the first set but otherwise, CoCo held it together mentally. It’s been quite the year for CoCo at the Slams and this is her third Slam quarter-final of 2017. Kanepi is just the second qualifier to reach the QF @USOpen in the Open Era (Barbara Gergen, 1981). In the space of ten minutes, both of my faves went out of the tournament 😢😢😢. In the second night match on Ashe, Madison Keys beat Elina Svitolina, 7-6(2) 1-6 6-4 – what a win for Madison! It was another match that I dreamt about during the night. This time I was less surprised when I woke up as Keys had won, 6-1 7-6 in my dream 😂. Loved this. Madison’s coaching partnership with Lindsay Davenport may now be my favourite on the tour. You can tell they are really close and the results are there to prove how successful it has been. What a tournament for the American players. 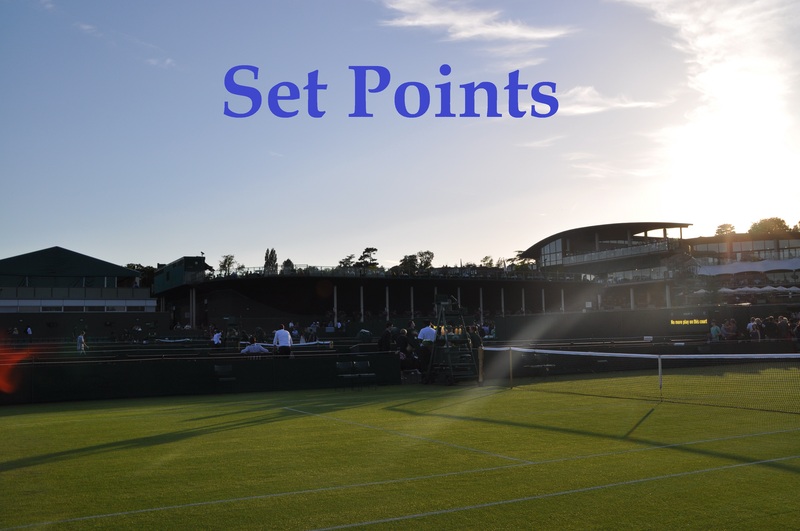 And the hunt for the world number one spot is now much simpler – Garbiñe Muguruza or Karolina Pliskova. With Svitolina’s loss, Karolina Pliskova can retain the No.1 ranking if she makes the final. Otherwise, Muguruza takes over on Monday. Svitolina has made huge strides this year. Still, it hasn’t quite come together at the Slams. A few highlights from Sunday’s order of play – this was an incredible point in the match between Venus Williams and Carla Suárez Navarro! Petra Kvitova’s press conference from Sunday night is linked below where she talks about how the weather and a bit about the upcoming match-up against Venus. And linked below is Garbiñe Muguruza who was very positive in press. While a disappointing loss, the Spaniard has really had a great summer and seems to be in a good place mentally. Tuesday will feature the first set of quarter-finals from the bottom half. Unsurprisingly, Venus Williams vs. Petra Kvitova gets the night session – gutted in a selfish way that I won’t get to watch and sad not to have had the time to write a full preview like this match deserves. The head-to-head is one of my favourite on tour and all five of their previous matches have gone the distance. The last three matches have been so good and they have all made my top 20 countdowns. Their Wimbledon match remains one of my favourite women’s matches from the past five years. I was reliving them all on my Facebook page! This is one of those match-ups where i’m hoping they both bring it and put on a show. Based on the H2H and the momentum she has built, i’d go for Petra. The second quarter-final will be a first-time match-up between Anastasija Sevastova and Sloane Stephens. I was half wondering if Sloane may start to feel some pressure when she went up against Julia Goerges – while it wasn’t her best performance by any means, she kept things so solid when it really counted. Sevastova has some lovely strokes and has brought her A-game in big match-ups on Ashe before. Still, i think Sevastova will have a tough time trying to break down Stephens, who has been moving beautifully and been mentally sound. September 5, 2017 in Set Points, US Open, WTA. ← Sunday’s Set Points, US Open Day 7: Petra vs. Venus for a place in the semi-finals! I did wonder if the chance of going #1 May affect Svitolina… Oh well, there’s always next year. And I think she has Singapore in the bag. Id love to see Pliskova or Petra win the whole thing now. With Lucie and Dasha going out, i’m all in for Petra now. Oh i forgot about Madison! I’d love to see her make the final. Not surprised I hear very little talk by pundits on Svitolina, almost as if she doesn’t exist. She has not beaten a seeded player at a Grand Slam in her last 6 majors now which is frankly shocking for a Top 5 player. Another stat: Svitolina has never beaten a Top 15 player at a slam in her whole career until now (0:11). When was the last time she faced a top 15 player in a Slam? Wasn’t Ivanovic top 15 at the 2015 French? Nevermind, I’m mixing up years. She definitely needs to work on her approach to Slams. It’s bizarre considering her record this year that she’s been dumped out so early on. Having watched the third set against Keys, I wonder if the Halep loss at the French was in her mind at 42 up because she played some loose points by her standards! I did use this site. I’ve already put the adjustments for you. But of course you can change them, too. Ivanovic was No.16 back to RG last year. The only other Top 20 player she beat at a slam was Kuznetsova. Against Top 20, she is 2:13. I didn’t watch much of the Brady/Pliskova match, not because of the blowout score, but the terrible lighting conditions with half the court in bright sunshine and half the court in dark shadows. The half dark half light make it very difficult to see the ball on home video. On cloudy days the visibility is fine. IMO there should be a retractable net below the open roof that would reduce the bright sunlight by 50%. If I remember correctly the same situation happened in Madrid. Yes agreed, it’s not easy to track the ball. It was a good run overall for Lucie! Agreed, the return has been hit and miss all year. I remember she was particularly struggling with it at the start of the the year and it has generally improved. She was returning superbly against Nara in the third round. I am leaning on pliskova for the title given the way the chips have fallen. She needs to defend her points and stake her credibility as the no1 ranked player. The combo might be that necessary motivation to see her through. Lol….they say right side sleepers have more sweet dreams James. Who knows might improve the accuracy of your night visits to flushing meadows. No guarantees though! I’m gutted for Sevastova. She has shown so much character today but it wasn’t meant to be. But very happy for Stephens. What a comeback after her foot injury.